Harry Potter & The Deathly Hallows: Part 1 & 2 Ultimate Edition arrives on November 13 from Warner Home Video. 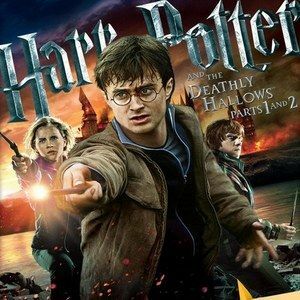 Available as a combo pack and created for fans of the world's #1 film franchise, Harry Potter & The Deathly Hallows: Part 1 & 2 Ultimate Edition will mark the first time that two films will be packaged together as a Harry Potter Ultimate Edition and available as a Blu-ray/DVD/UltraViolet Combo pack. Harry Potter & The Deathly Hallows: Part 1 & 2 Ultimate Edition will feature the final two chapters of "Creating the World of Harry Potter," a unique 8-hour documentary series with footage, intriguing stories and an authoritative insider look behind the films. Each hour-long chapter enhances the relationship Harry Potter fans have with the movies and adds to their understanding and connection to their favorite characters and much more. The set will be priced at $64.99 SRP. Harry Potter & The Deathly Hallows: Part 1 & 2 Ultimate Edition is filled with more than six hours of special features and collectibles including a photo booklet featuring 48 pages of rare photos of the cast and crew, concept sketches and behind-the-scenes insight. The Ultimate Edition also features four limited edition character cards, a lenticular card and a bonus UltraViolet Theatrical Version of the films. The perfect gift for Harry Potter fans of all ages, the Ultimate Edition give audiences the opportunity to immerse themselves in the world of Harry Potter. From acclaimed director David Yates (BBC's State of Play, Harry Potter series Years 5-7), Harry Potter & The Deathly Hallows: Part 1 & 2 brings back the ensemble cast including Daniel Radcliffe (The Woman in Black), Emma Watson (My Week with Marilyn) and Rupert Grint (Wild Target) as well as two-time Academy Award-winner Maggie Smith (TV's Downton Abbey, California Suite, The Prime of Miss Jean Brodie), Academy Award-winner Emma Thompson (Brave, Sense and Sensibility, Howards End), Academy Award-nominee Ralph Fiennes (Clash of the Titans, Schindler's List, The English Patient), Alan Rickman (Alice in Wonderland, Love Actually), and Gary Oldman (The Dark Knight Rises, Tinker, Tailor, Soldier, Spy) Academy Award-nominees Helena Bonham Carter (Alice in Wonderland, The King's Speech, The Wings of the Dove) and Imelda Staunton (Alice in Wonderland, Vera Drake). Harry Potter & The Deathly Hallows, the seventh and final adventure in the Harry Potter film series, is a motion picture event, told in two full-length parts. Part 2 is the epic finale, where the battle between the good and evil forces of the wizarding world escalates into an all-out war. The stakes have never been higher and no one is safe. But it is Harry Potter who may be called upon to make the ultimate sacrifice as he draws closer to the climactic showdown with Lord Voldemort. It all ends here. Warner Bros. is taking Digital Copy to a whole new level. The Harry Potter & The Deathly Hallows: Part 1 & 2 Ultimate Edition UltraViolet Digital Copy includes a Standard Definition Digital Copy of the theatrical film versions of Harry Potter and the Deathly Hallows - Part 1 and Harry Potter and the Deathly Hallows - Part 2. Special features not included. Limited time offer. Restrictions and limitations apply. Go to UltraViolet.Flixster.com/Info for details.